Joaquin Phoenix is disgusted and sickened by the first-ever look inside China’s dog-leather trade. The footage was captured by a PETA Asia investigator at a facility that bludgeons and skins 100 to 200 dogs a day. In China, there are still no penalties for cruelty to animals. Phoenix, a vegan who shuns clothes made of any animal’s skin, wool or fur, is fully committed to PETA’s motto – which reads, in part, that “animals are not ours to wear”. 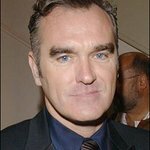 He famously wore vegan leather boots as Johnny Cash in Walk the Line and is one of a growing list of celebrities – including Jude Law, Charlize Theron, Eva Mendes, Penelope Cruz and Morrissey – who have teamed up with PETA to promote kindness to animals in various ways.